Why you should choose this gig? Why trust me & What benefits you will get? 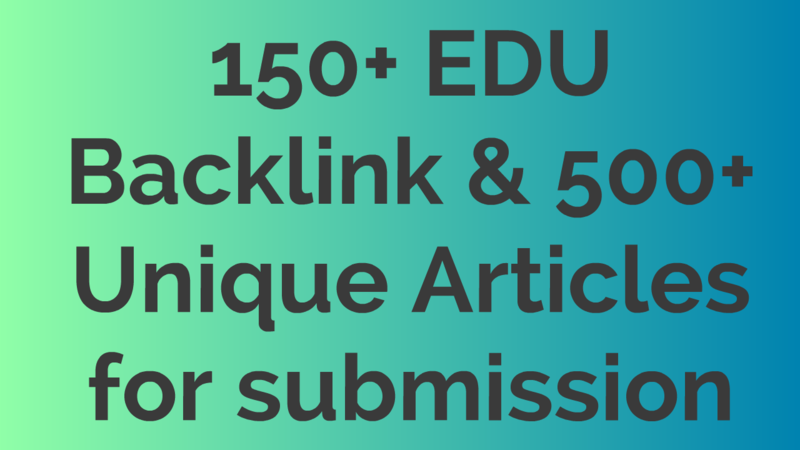 Provide 150+ Backlink EDU and 500+ Unique Articles for submission is ranked 5 out of 5. Based on 1 user reviews.